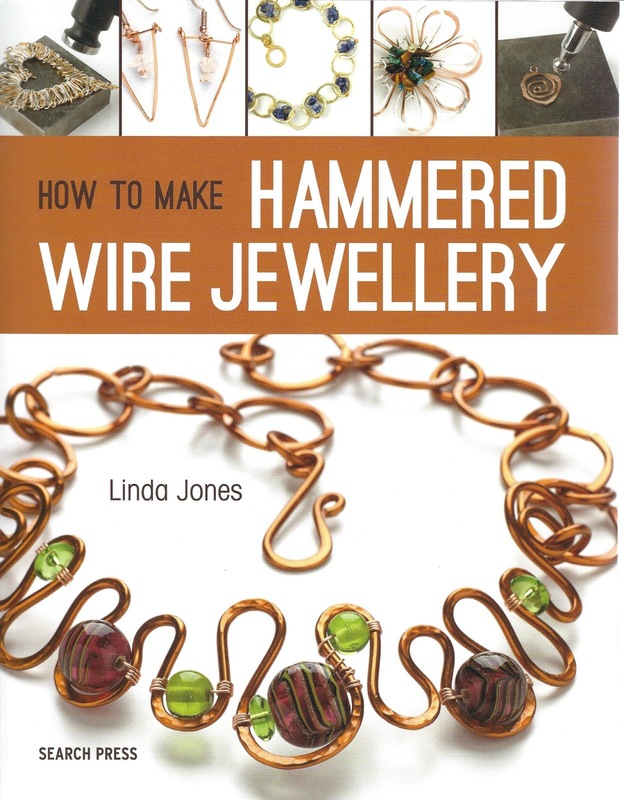 We test drive expert wireworker, Linda Jones' latest book. 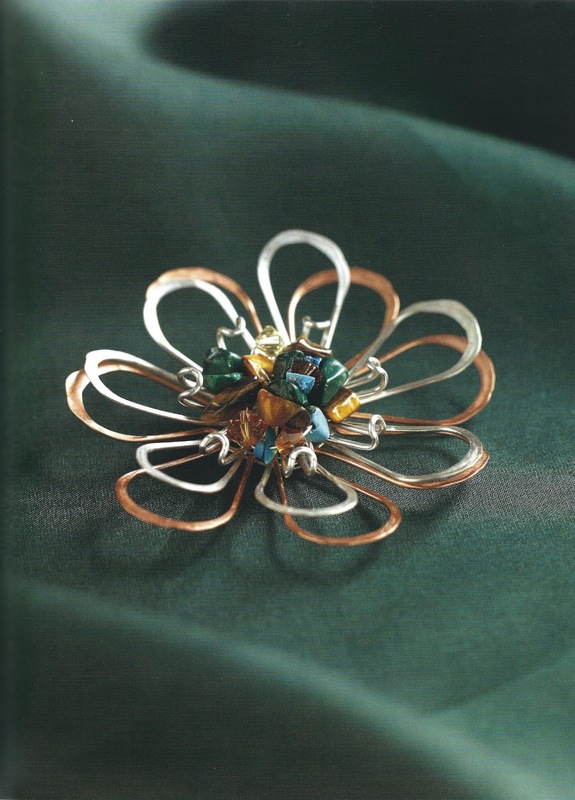 I own many of Linda's books on wirework and I knew that if these were anything to go by, her new book was going to be full of achievable and wearable designs. I wasn't disappointed. 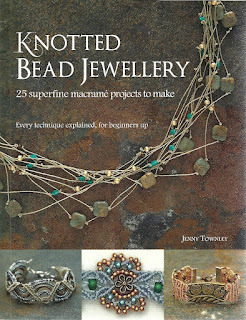 Whether you are an experienced wireworker or just starting out in this addictive medium, you will be certain to find some new techniques and ideas amongst the stunning pieces of jewellery in this book. And, as is usual for this type of publication, there is a section at the back covering all the basic skills you will need to complete the projects. 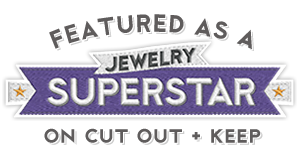 With nothing more than basic jewellery pliers, a hammer and steel block you too can be creating striking and original pieces with or without beads. Divided into four main sections, the projects range from necklaces, links and pendants made using a 'feathering' technique — flattening and spreading wire by stroking with your hammer rather than bashing it, an entire section of shaping wire into freeform 'doodles', another on 'scrunching' wire into frames and focals and finally, a chapter of projects that will inspire you to combine multiple techniques into single pieces. One of my favourite tutorials from the 'Feathers' section is this flower brooch that can also be adapted into a pendant or into a focal on a necklace. One of the great things about this book is that Linda always provides further inspiration for adapting and extending each project. 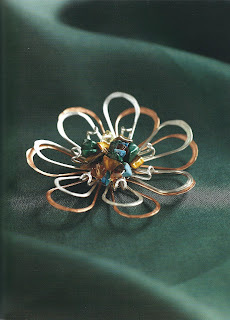 Each idea is beautifully and clearly photographed so you are able to see exactly how to recreate the designs at home. 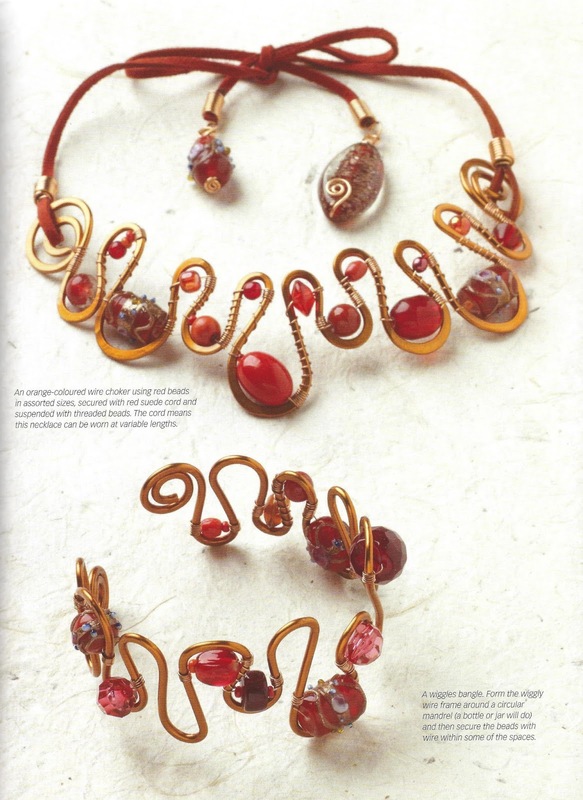 For a more modern look, why not have a go at a 'Wiggles' necklace from the 'Shapes' chapter which can incorporate your favourite glass or gemstone beads and give you practice in binding wire as well as shaping and hammering. 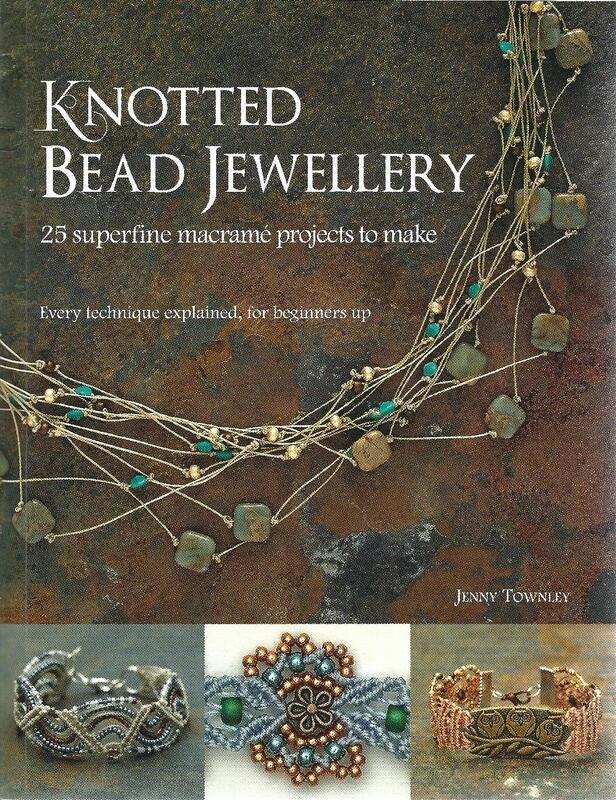 If you are a regular reader of reviews at The Beading Library, you'll know that we always like to try out a project or two from our books. This time around, I really was spoilt for choice. In the end, I looked at what gauges of wire I had in my rather chaotic wire drawer and chose a couple of projects to try using 1mm bare copper wire. These hoopla spiral earrings are from the 'Get Creative' chapter and were really quick to make. The texturing on the hoops was achieved using a ball pein hammer (the ball end!). Don't be afraid to combine techniques from more than one project! I had some gorgeous 8mm Fluorite rounds left over from a previous project so I made a bracelet that combined techniques from a couple of projects in Linda's book — 'Hinged Links' and 'Ring Chain Bracelet'. I also followed the instructions at the back of the book to make a wire clasp. I will definitely be trying some of the other designs in this great title and might even see about getting myself one of Linda's Whammer hammers too as it is the perfect tool for flattening wire without marking it. Watch this space! We have a copy of this book to give away to one lucky reader! Simply comment on this post and tell us about your adventures in wire! We will pick a winner at random, after midday on Friday 13th May (lucky for some!). 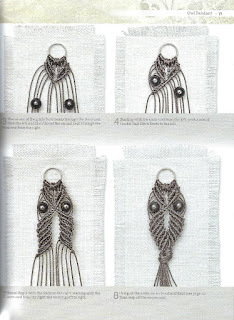 As has become customary for macramé books, there is a comprehensive section at the beginning, covering all the basic knots, tools and techniques required to complete the projects in the book. There is also an essential skills chapter which includes a very useful section on finishing your macramé work (something I always struggle with) and some tips on colour selection. Before you dive into the projects themselves, you’ll find a visual reference of all the items available to make. Browsing through the contents or the book itself, you will be struck by the range of pieces to make and the beautiful photography, which includes images of the jewellery being worn. 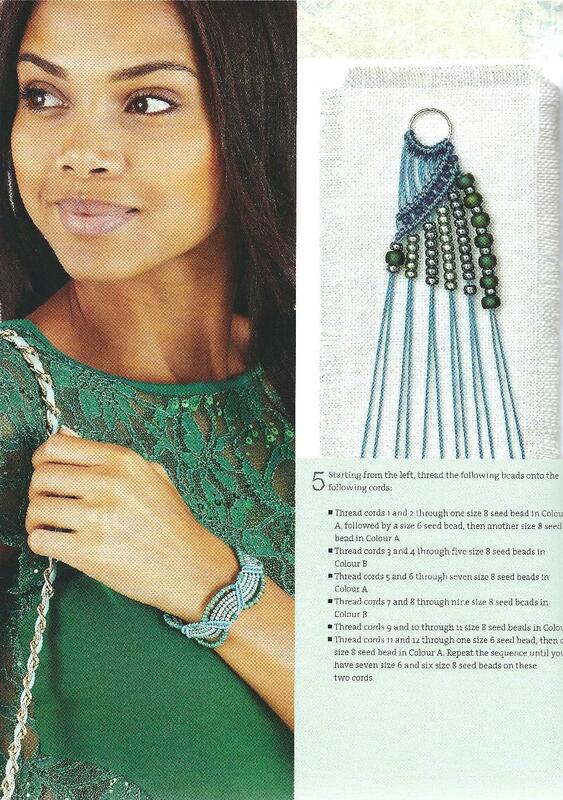 We particularly liked the ‘Tropical Waves’ bracelet being modelled here but we suggest you don’t start with this project which is in the ‘Advanced’ section of the book. We recommend that even if you are already familiar with macramé techniques, you begin with one of the simpler projects in the ‘Beginner’ or ‘Intermediate’ chapters to accustom yourself with the format of the projects and the specific skills required for the more complex designs. 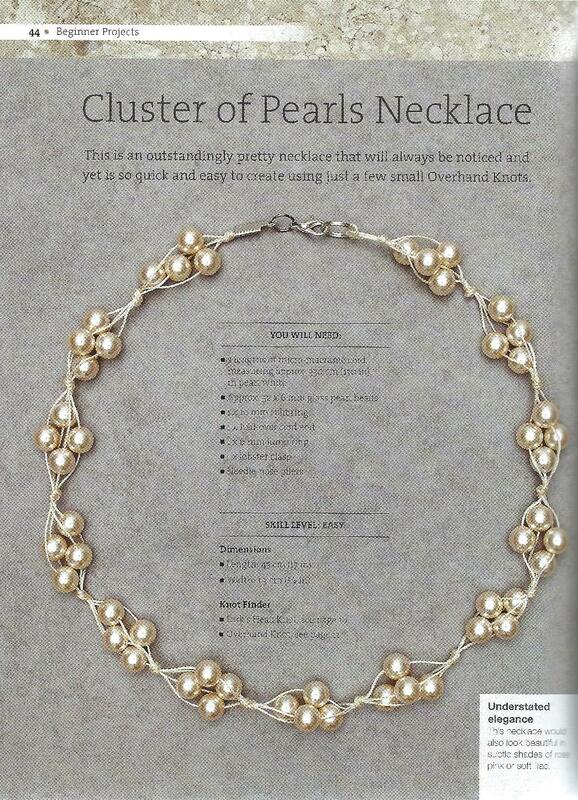 For those new to macramé, this ‘Cluster of Pearls’ necklace is a wonderful place to start. 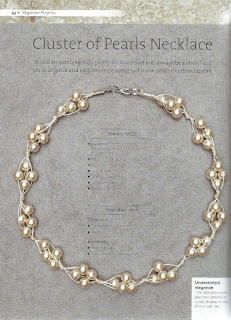 This particular project uses glass pearl beads but you could use Freshwater Pearls as long as the holes are large enough to pass the macramé thread through. It isn’t macramé per se but learning to tie neat and consistent overhand knots is a skill that you will find useful for all sorts of projects. For a more intricate design, why not have a go at this rather sweet owl pendant which will give you practice in Double Half Hitch Knots, Right Full Loop Knots as well as easy Lark’s Head and overhand knots. I always like to have a go at a project in the book I am reviewing and I picked a rather clever design for ‘netting’ a gemstone with macramé cord. I have quite a large collection of seaglass pieces that I collected a few years ago from a beach in Seaham, and I thought this would be perfect for use in this project. I have to admit that it took me two goes to get the pendant section right for my necklace. The instructions were a little short and lacking in detail (I am not an accomplished knotter!) for this particular 'intermediate' project. 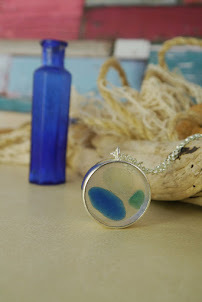 My own netted seaglass pendant! However, closer examination of the step images and a bit of experimentation and I was able to get it right. I should also say here that perhaps my only criticism of this book is that sometimes, the layout of step images and instructions can be a bit confusing. It is not consistent throughout the book and this project in particular will see you jumping between pages to follow the steps in the right order! So, all in all this is a lovely book with modern and wearable designs for all occasions. 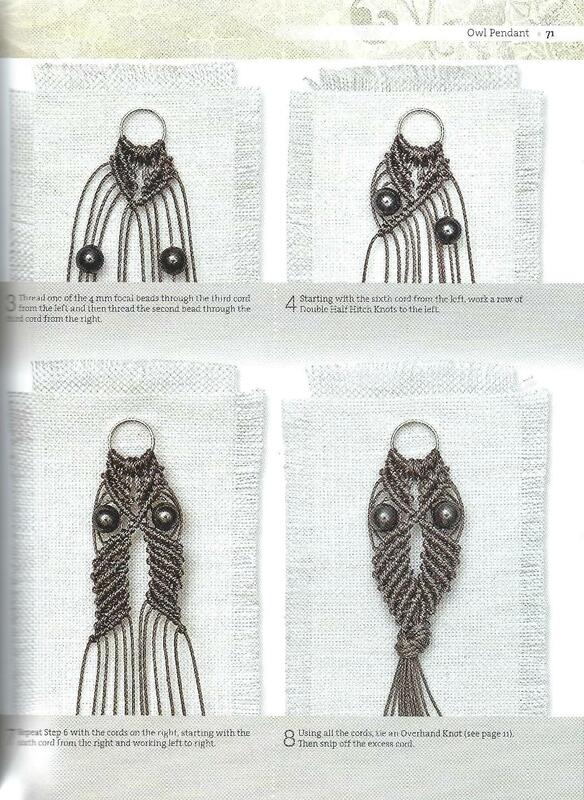 Whether you like to make full micro macramé pieces or just incorporate some knotted elements into other jewellery, you will learn some useful techniques from these pages.